To search Florida Jackpot Triple Play results, just log in. 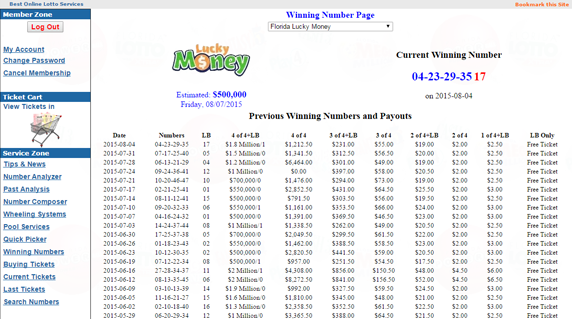 Then, click Winning Numbers on the left, and select Florida Jackpot Triple Play. The results of the game numbers and payouts will be listed.